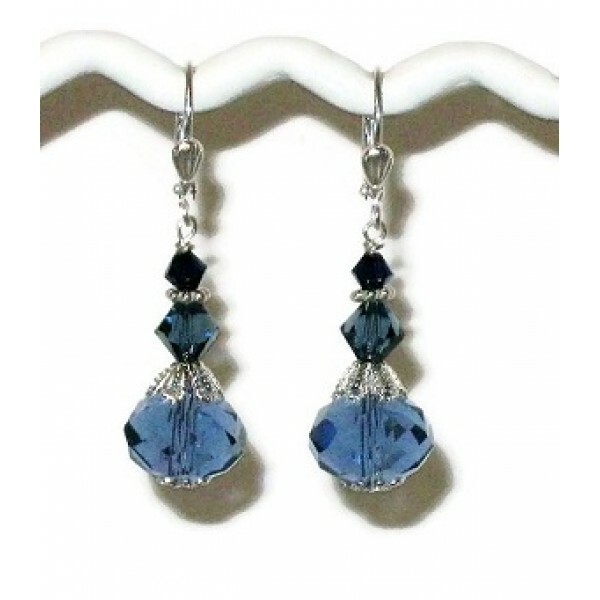 Looking for a pair of navy blue bridal earrings, these can be an option for you. They are made up of crystals that are accented with fancy spacer beads. The length of the earrings are 1 1/2 inches, starting from the top of the silver-plated earwires.